This is a great album, right off the bat all the boxes are ticked and squared away. Delicate triple harmonies, whoozy swooning choruses, deft instrumentation and just enough rootsy grit to keep the listener and the artist honest. Think Dawes, Dead and Jayhawks with a Nashville twang and a dash of the Laurel Canyon vibe filtered through a gauze made by a young Jackson Brown. Really…. I mean really? Well yes, dear reader, these songs have got legs and may just sneak up on you when you’re not intending to listen. Plenty of the old earworms here. They are a five piece East Nashville based band and this, their debut on the ATO Records label, was recorded 6 years after their self-titled first album, although band leader Joe Firstman had a brush with early major label solo success opening for acts such as Willie Nelson and Sheryl Crow. They sound very tight and by all accounts really swing live. Highlights of the album include the aching melancholy of ‘Santa Fe,’ all harmonies and steel guitar, the Beatlesey ‘Your Town’ with its reflective lyricism and harmonies ably supported by some beautiful piano figures and the jazzy opener ‘This Town’s a Drag’ that builds to its joyous chorus and sets the stall out for the rest of the album. 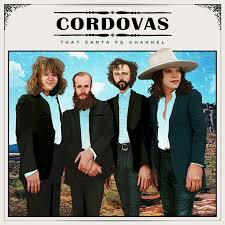 On this evidence the future’s looking bright for Cordovas. Recommended.